Our dental negligence solicitors have years of experience claiming compensation for their clients. 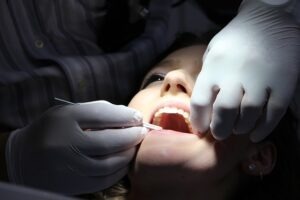 If you have suffered an injury due to the error or neglect of a dentist, you may be entitled to a financial settlement. DSM Legal Solicitor’s dental negligence claims team will provide you with the guidance to pursue your claim, and seek the maximum amount of compensation. Simply telephone 01925 937070 or complete the ‘Contact our Solicitors’ form at the bottom of this webpage. We now also have a Wigan office which can be contacted on 01942 914004. We offer a friendly and professional service that includes a ‘no win, no fee’ arrangement on all of our dental negligence cases. If you have suffered a different type of medical or clinical negligence you can visit our medical negligence section by clicking here for more information on how we can help. To find out if you can make a valid dental negligence claim against a dentist, contact DSM Legal Solicitors today. For expert advice, call us on 01925 937070. Alternatively you can complete our Personal Injury Enquiry Form by clicking here. Dental negligence claims against dentists can cover a wide range of incidents. These often occur due to guidelines and precautions not being correctly followed by your dentist or dental practice. Misdiagnosis: A negligence claim may be made against a dentist who has caused pain and suffering through a misdiagnosis. Careless work: Carelessness is a frequent cause of dental negligence claims. This can include poor treatment procedures and unsafe dental surgeries. Insufficient treatment: Financial compensation can be won for receiving unnecessary or inadequate treatment. If your claim is not in the list above, please do not hesitate to contact the DSM Legal Solicitor’s dental negligence team. We understand that each case is different and we assess each compensation claim on individual circumstances. Our dental negligence solicitors will also claim for any other losses that have occurred due to your injury. This can include loss of income, medical fees and counselling. We have access to a wide range of experts to ensure you receive all the help you need to recover from your injuries. Why choose DSM Legal Solicitors for your dentist negligence claim? If you choose DSM Legal Solicitors in Warrington, we can guarantee that our dental negligence solicitors will be dedicated to the success of your claim. A nationwide service – we have clients from Cheshire, Merseyside, Greater Manchester and across England and Wales. Direct, professional support – only a fully qualified, experienced solicitor will handle your dentist negligence claim. Our office in Warrington is minutes away from Junction 8 of the M62. We have free on-site car parking together with disabled access. Please email info@dsmlegal.co.uk to make an appointment or telephone 01925 937070 to speak to a member of our expert team. We are solicitors in Warrington and we accept claims from across England and Wales. Telephone 01925 937070 for a free, confidential chat with a solicitor or complete our Dental Negligence Enquiry Form by clicking here. We can assist with personal injury (accident claims including fatality claims), road traffic accidents, criminal injury compensation claims, accidents at work, medical negligence claims, employment law claims, wills and probate, oaths, affidavits and statutory declarations, lasting powers of attorney, settlement agreements and professional negligence claims.